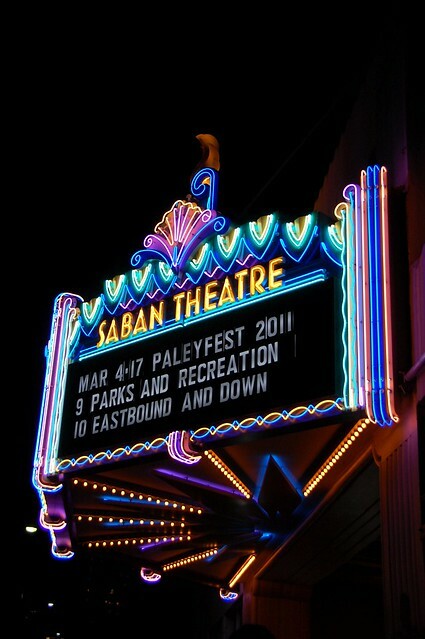 Parks and Recreation's Paleyfest night took place at The Saban Theatre this year. 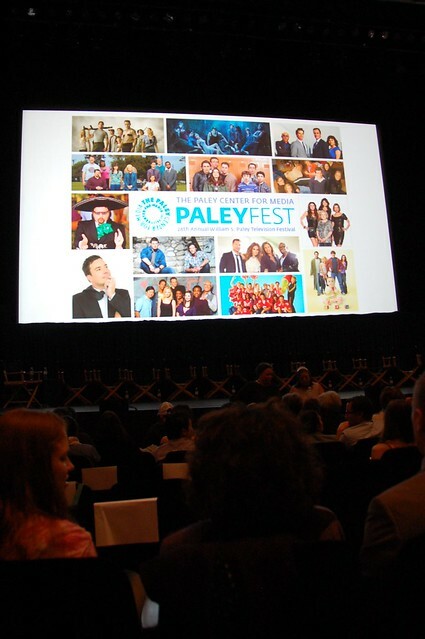 Last year, it was a much more intimate affair at The Paley Center for Media. The larger venue is a good thing. 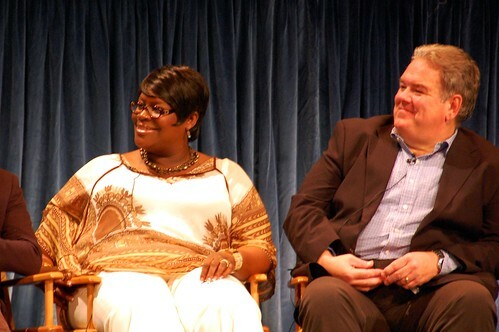 It means the show's popularity is increasing! 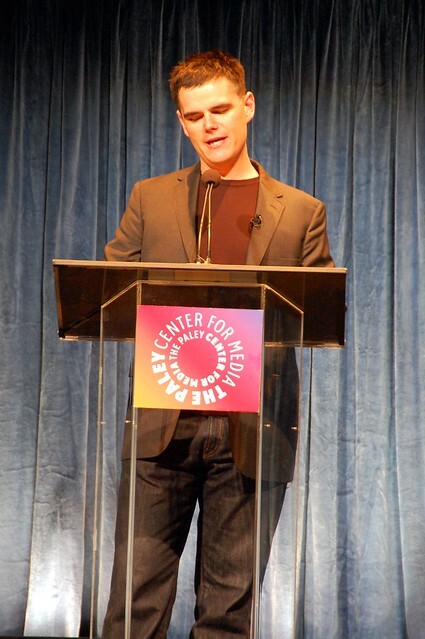 Michael Ausiello moderated. Rob Lowe couldn't make it because he was touring colleges with his kid on the East Coast. We got a sneak peak of the next episode. You are in for a real treat. Don't miss it. 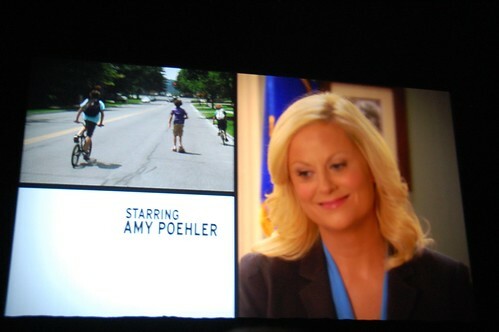 I need to watch this show. Shoot, I didn't know Rashida Jones is in it! I'm jealous you were that close to Aziz Ansari. how fun!! LOVE that show. Yay for larger venues indicating the show is getting the recognition it deserves. 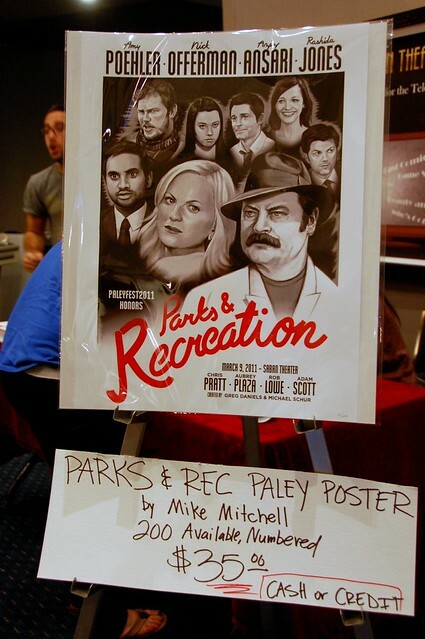 I love Ron and Tammy Swanson. You were so close to the cast! Love the pictures. You looked like you were trying to get a photo up Amy's skirt. What color were her undies? 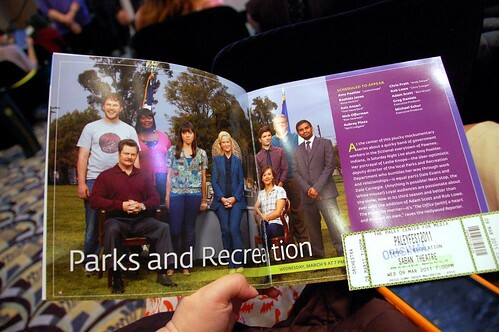 My husband has strong affection for Ron Swanson. For real. man, your seats were fantastic.